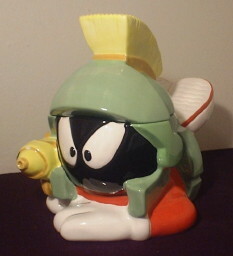 The little alien, Marvin The Martian, laying down while holding a ray gun. Cookie Jar. Mint condition.